Wimer's Mill brick tile are the first thin bricks that we ever made. 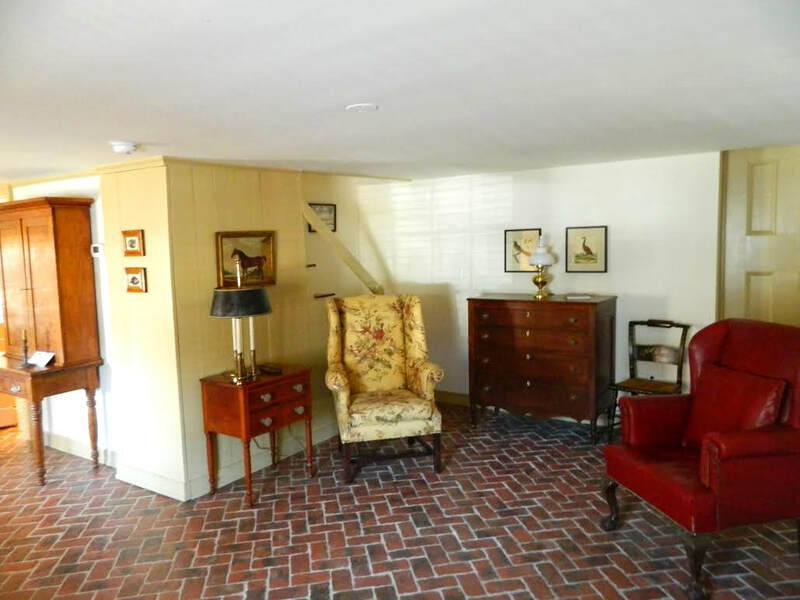 Before Inglenook Tile Design had been formed, we handmade brick tiles for a worn brick floor look in the large entry of our 18th century home, Wimer's Mill. They are very rugged, with textured tops and extremely uneven edges, designed to look like they have been in place for over 200 years. Because they are so rustic, we toned the look down slightly to create the Wright's Ferry tiles when we began making brick tiles to sell. However, when customers came to our home office to see tiles and grouted boards, they entered through the front door, saw these Wimer's Mill tiles on the entry floor, and would often say, "This exactly is what I want!" We then made new molds for this size and style and added them to the Homestead Collection line. 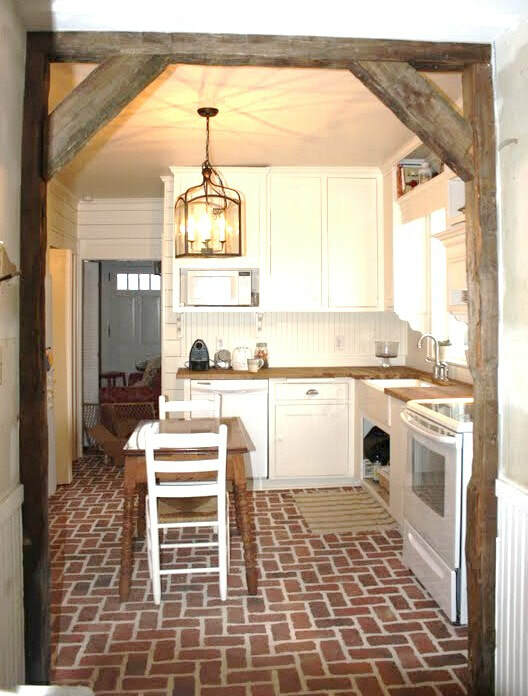 Our customers believe it's perfect for their farmhouse floor. In the original Wimer's Mill tiles (pictured above), we pressed a few tiny pebbles from the stream bed into the wet mortar between the tiles. When we sealed the floor, the tiny pebbles shined up, too. We also sealed the floor with a semi-gloss sealer and then used a water soluble black shoe polish in the "cracks" in the mortar. When we wiped the floor with a damp cloth, the black stayed in the grooves, but wiped off the top. We then resealed the floor, to trap the black polish. The result was a floor that the glazed brick tile looks ancient. We are happy to share with you all the ways you can play with the installation of your floors to "age" them even more! The picture shows the very uneven edge of the Wimer's Mill brick tiles. When the grout is between the tiles, it appears that edges and corners are eroded from the sides. Because of the rugged edges, there will always be a wide grout line on this style. Keep in mind that the same clay is used on all our brick tile styles, and that the different color effects you see on one can be made on any style. 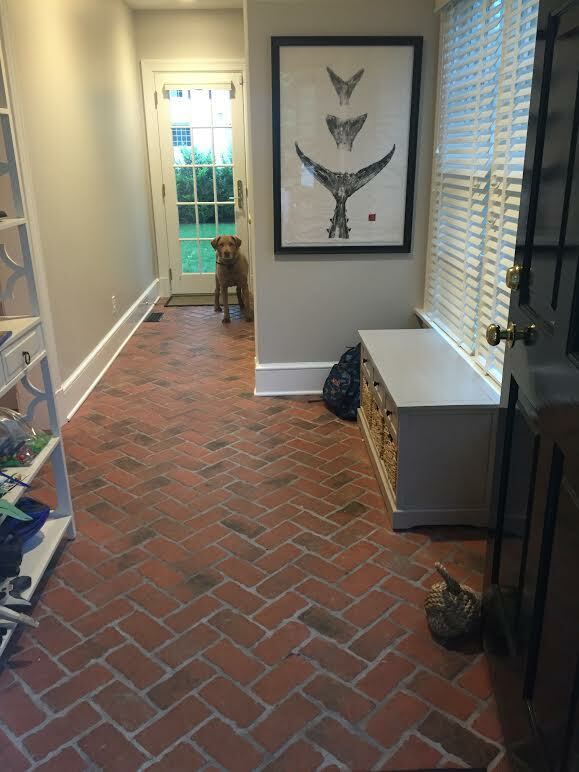 Contact us and let us help you select the perfect tile to create your worn brick floor. 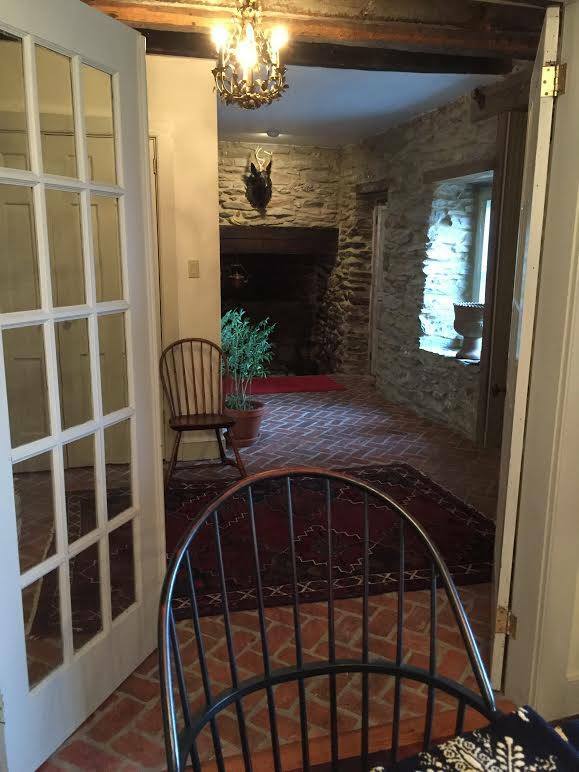 This is the original Inglenook Tile floor, in the home of the owner of the company. 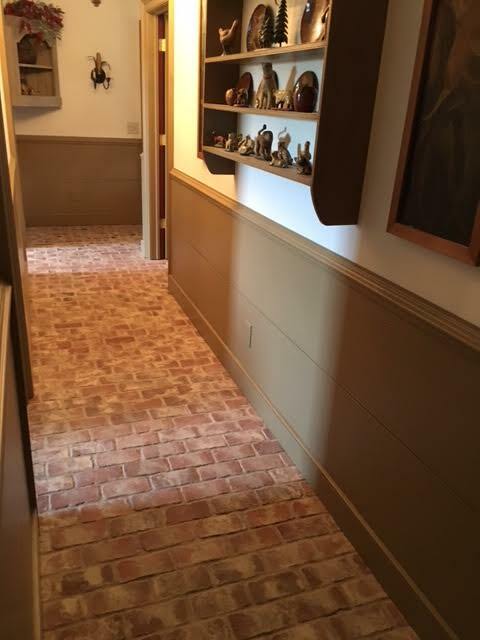 The Wimer's Mill tile style is named for the house, an 18th century woolen mill in Lancaster County, PA.
Ron Stephens' Wimer's Mill floor is the off-white clay with wood ashes finish. 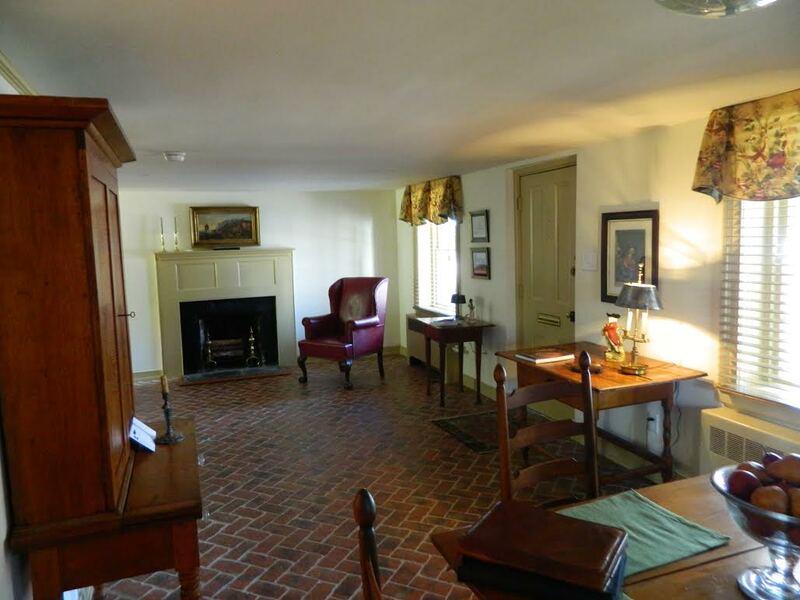 The two beautiful Wimer's Mill tile floors above are courtesy of the Hopkins family. The Cahill kitchen floor is the Marietta color mix. Thanks to Tyler Meurlin for this Wimer's Mill picture. It is the Marietta color mix.